Crimewatch Alarms - Big Ben, Big Exhibitions and Big Awards! Big Ben, Big Exhibitions and Big Awards! We are only 20 days in, but October has already been a remarkable month here at CWE towers. The ‘Shine a Light’ campaign aims to recognise qualified ECS Electricians and to start encouraging the first steps towards licensing the industry. This registered status will be available to all ECS Installation & Maintenance Electrician card holders who are qualified in the current regulation edition of the BS7671 Wiring Regulations. 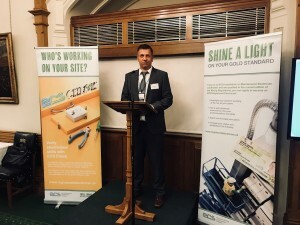 All applicants of the Registered Electrician status will also need to sign up to a Code of Professional Practice as part of this campaign to raise the standards of the industry. After this amazing start to the month, two of our apprentices, Peter and Lloyd spent the day at the SkillsCymru exhibition in the Motorpoint Arena in Cardiff. SkillsCymru is the largest exhibition for jobs and skills in Wales; it is an interactive event that displays the wide variety of careers available to young people in Wales. It is an amazing event that houses all sorts of industry from Food & Drink to SFX Costume and makeup design. 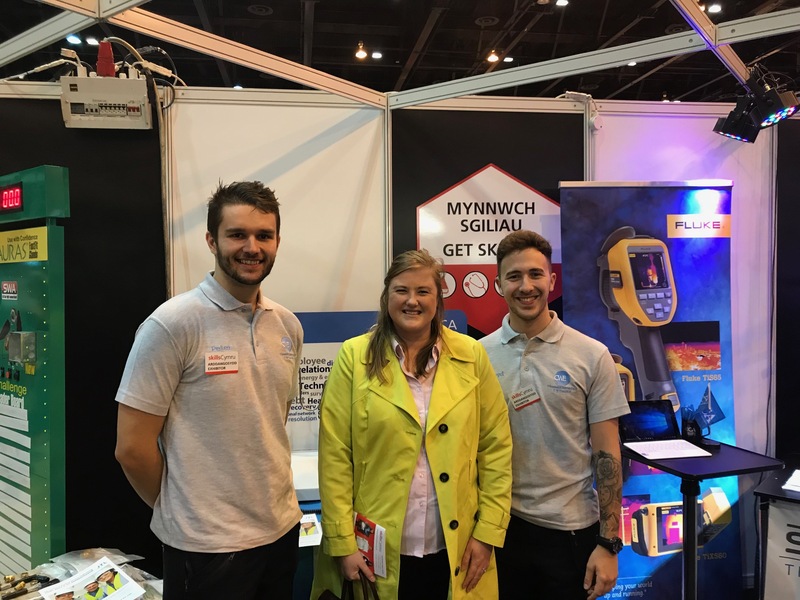 The pair spent the day talking and interacting with many of the thousands of young people from all over Wales attending the exhibition, explaining and outlining the benefits of an apprenticeship in the Construction industry as a career option. 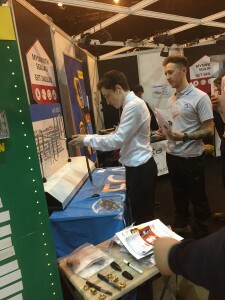 They gave demonstrations to the visitors, showing them some of the basics including a short demo on how to wire a plug. We are so proud of both Peter and Lloyd for the hard work they put in for the ECA Exhibition stand, they gave 110% and I dare say they have encouraged many into the profession, well done lads! Also, this Friday sees our other Director, Rachel, returning to the Apprenticeship Awards Cymru at the Celtic Manor in Newport. After our impressive win in the small business category last year, Rachel was asked to return to the awards this year as a panel judge for the awards and also as a validation judge for the small business category. All of us here at CWE would like to wish all the finalists the best of luck, it is truly an honour getting to this stage, you should be very proud of such an achievement.